by J. T. Stanton, N.L.G. Cherrypickin’ in the numismatic hobby is simply the art of buying the best item possible for the least amount of money. The art has been around since coin collecting began. Years ago, collectors and dealers alike would examine the inventories of dealers in search for coins to fill a want list. Those doing the searching would naturally "cherrypick" the best coin possible. Only in the past ten to fifteen years has the term "cherrypickin’" been commonly applied to the variety segment of the hobby. Today, the term implies that someone with specialized knowledge of a certain variety will search for and buy the variety for the price of the "normal" coin. No single individual in the hobby can know everything about everything. Therefore, the opportunity exists for a specialist to "cherrypick" coins from those individuals or dealers often considered to be quite knowledgeable. The variety enthusiast takes great pride in the knowledge that they have obtained. They will then use this knowledge to their advantage, usually by purchasing coins at normal prices that they can sell later for modest or even substantial profits. A true enthusiast will rarely boast about their accomplishments. However, they are usually quite willing to share their knowledge with others. Varieties are those coins which are normal in most respects, yet have some characteristic on the coin that sets it apart from others of a like date and mint. 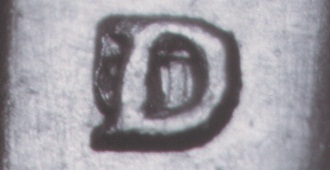 These characteristics were generally a part of the die itself, therefore each coin struck from that particular die will have the same characteristic. 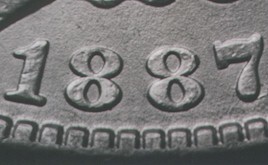 Varieties generally consist of doubled dies, repunched dates, overdates, repunched mintmarks, over mint marks, misplaced dates, and even engraving errors. Here we show some examples of varieties that have a value substantially above that of the normal coin. 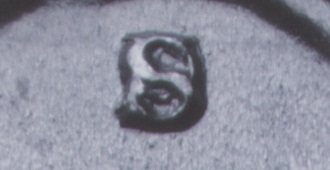 This 1971-S Proof Lincoln Cent doubled die obverse has a retail value of $1000+, compared to the 75c for the normal coin. 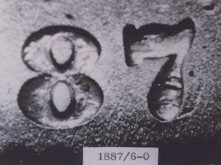 Repunched dates can be minor, or highly evident. This 1894 Indian cent will fetch prices up to $4500, compared to $150 for a normal coin. An overdate is simply one date that was punched into a die over a different date. This 1887/6-O Morgan dollar will bring as much as $7500. Here is a rare 1942-D Jefferson nickel, with a D mintmark over a horizontal D mintmark. This repunched mintmark (RPM) brings as much as $750, compared to the $30 of the normal coin. 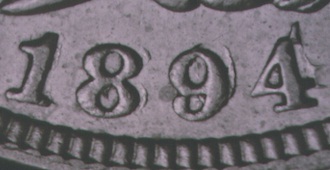 An over mintmark, similar to an overdate, is one mintmark punched over a different mintmark. 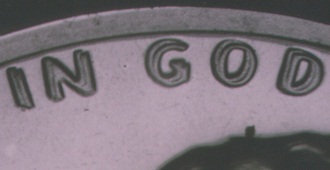 The 1950-S/D Washington quarter is a good example. Values can reach several hundred dollars for an otherwise common coin. 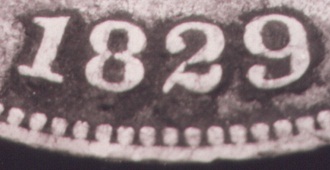 A misplaced date is typically a coin that exhibits digits or letters punched into a position on the die where they do not belong, such as this 1870 Indian cent, with more than 20 digits punched in the denticles below the date. There are also varieties known with date punches in the bust, in the rock (on Liberty Seated coinage), and even in Liberty’s hair. Collectors who specialize in areas such as Liberty Seated coinage, Bust Halves, Large Cents, Indian Cents and Morgan dollars are often dedicated to the collecting of the varieties within the series. These collectors will readily pay substantial premiums for varieties to add to their collections. For instance, this 1829 Bust dime which has a 2 with a curled base, which will easily bring $10,000 for a coin grading EF. Not bad for a $50 coin. The "normal" 1829 dime has a 2 with a flat base. There are also Large Cent varieties which will bring prices in excess of $10,000 for an otherwise very common date. But where would one get all this information? The information is available, if you’re willing to put forth the time and effort to obtain it. There are numerous books available which exhibit photos and descriptions of varieties. However, there is no book that will list or exhibit all the known varieties. One of the more popular books available is The Cherrypickers’ Guide To Rare Die Varieties, by Bill Fivaz and J. T. Stanton. This book, soon in its Fourth Edition, has photos and descriptions of hundreds of varieties and over 800 high quality photos, and is a must for the variety collector. The new Fourth Edition of the book will be available in early summer of 2000, from J. T. Stanton, P. O. Box 15487, Roswell, GA 30076 for $29.95 + $3.00 P & H.
Stanton also is the publisher of Cherrypickers’ News, a bi-monthly newsletter with news and photos of new varieties, research of previously known varieties, and up-to-date pricing information. Subscriptions are $25 for 6 issues, and $45 for 12 issues. Write to Cherrypickers’ News, P. O. Box 15487, Roswell, GA 30076. You won’t be disappointed! Books on a specific series are also available that exhibit many of the known varieties of that series. 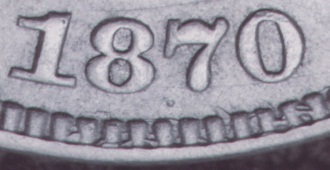 As of this writing, books which highlight varieties are available on Morgan and Peace Dollars, Large Cents, Lincoln Cents, Bust halves, Bust dimes, Liberty Seated half-dimes, dimes, quarters and halves, Buffalo nickels, Mercury dimes, Flying Eagle and Indian cents, Shield and Liberty nickels, Barber halves, quarters and dimes, Washington quarters, and many others. The research material today is a hundred times greater than just 15 years ago. In addition to the books available, specialty clubs are also quite active. CONECA, the national error and variety club flourishes. Membership in CONECA is just $20 per year. Those interested should write to James Wiles, 9017 Topperwind Ct., Ft. Worth, TX 76134-5501. The bi-monthly newsletter is more than worth the annual dues. Other specialty clubs include the Flying Eagle and Indian Cent Collectors, Liberty seated Collectors Club, Bust Half Nut Club, Early American Coppers, Barber Coin Collectors Society, John Reich Collectors Society, Society of Silver Dollar Collectors, The Society of Lincoln Cent Collectors, and of course doubled dies. Others certainly exist. The information is available for those interested in exerting the time and effort needed, but patience is a must. Don’t expect to find rare varieties right away. If they were easy to find, they wouldn’t be rare nor valuable. It may take months or even a year before one finds their first rare variety, but when that first one is found, you’ll be hooked! This segment of the hobby is one of the few areas that is still considered fun. Those enthusiast who are active are so because of the enjoyment, and not necessarily because of the profit. The profit just happens to be a very beneficial bi-product of the enjoyment.